The healthy and strong individual is the one who asks for help when he needs it. Whether he’s got an abscess on his knee or in his soul. Pick your enemies carefully or you’ll never make it in Los Angeles. 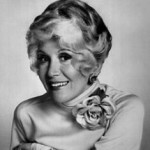 Rona Barrett is an American gossip columnist and businesswoman. She currently runs the Rona Barrett Foundation, a non-profit organization in Santa Ynez, California, dedicated to the aid and support of senior citizens in need.